Behold Onyx, one of natures finest masterpieces. 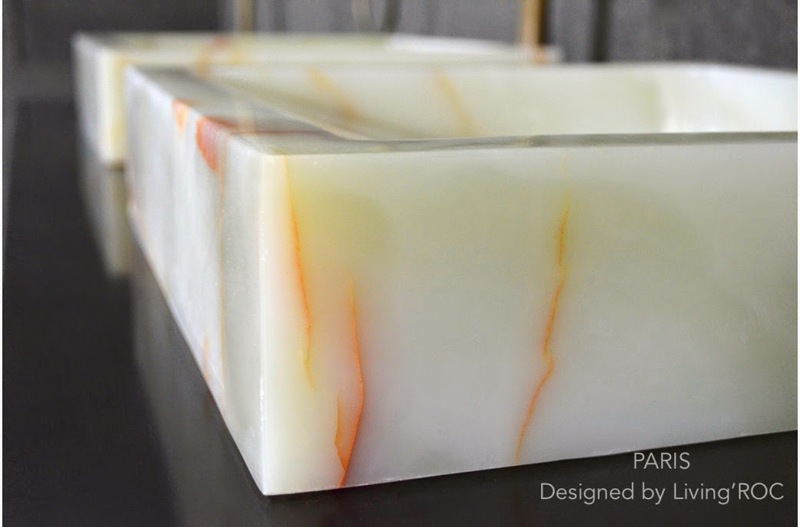 Onyx is distinguished by its translucency. The layered stone often comes from such places as Brazil, Uruguay, Sri Lanka, India, and Hawaii. Formed from in the gas cavities of lava. 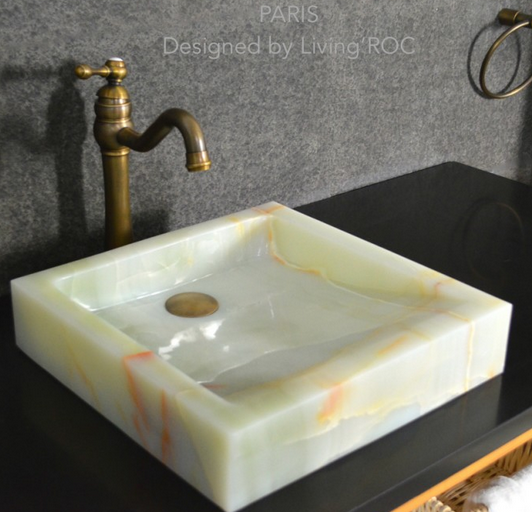 We are pleased to introduce Paris onyx vessel sink. 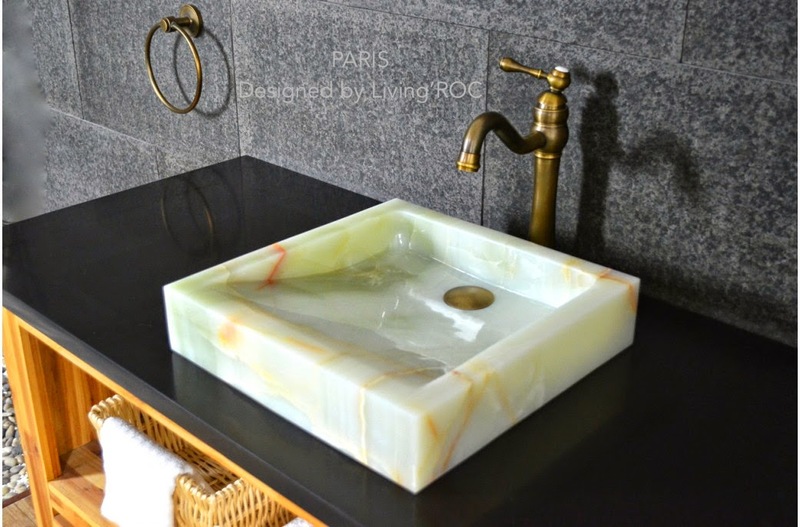 With sleek veins blending into each vessel sink it gives a unique design of color. One can transform their bathroom into a work of art to be admired by all. 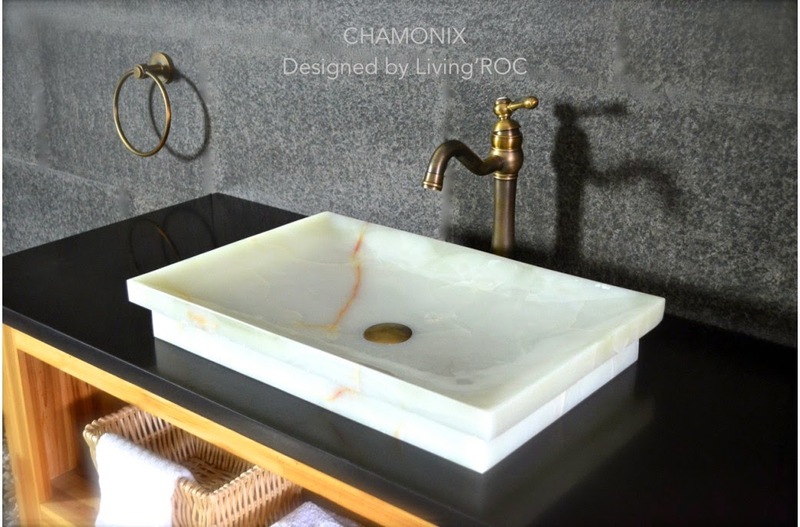 Bring elegance and style to your bathroom with a onyx vessel sink brought to you by LivingRoc. What a unique vessel sink. I really love this piece.